Midweek Kauai Features Keoni Durant: "Carving a Niche"
Like his father before him, Keoni Durant is a lover – and a carver – of beautiful wood. His favorite subject is Ku, the native Hawaiian god of war who, Durant says, is at war only with those who interfere with love. 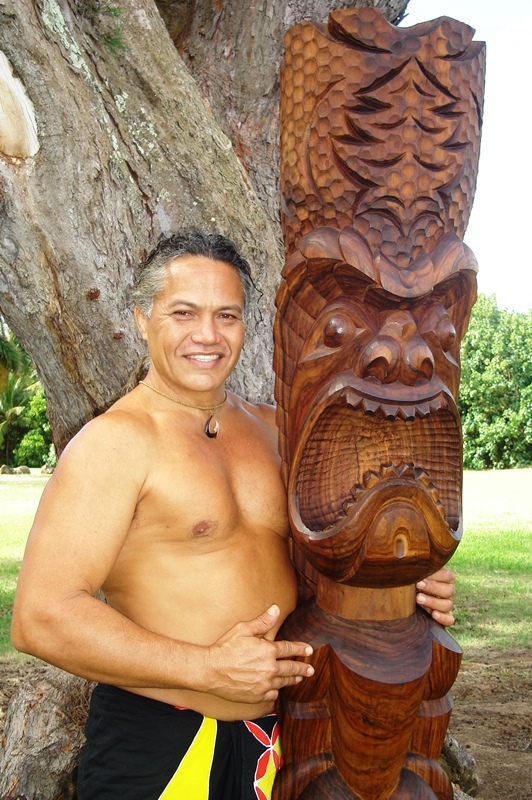 Keoni carries on a family tradition of carving Hawaiian gods from beautiful wood, and hopes his children will continue it. Keoni Durant possesses the inherent ability to transform any piece of wood into an intricate sculpture representative of the Hawaiian culture. Watching him work is like stepping back into ancient times. » Midweek Kauai Features Keoni Durant: "Carving a Niche"